Props to our sponsor over at Moe's/UGP for posting a link to their Facebook page of a live webcam perched up on the pressbox that will run 24/7 showing the transformation of the Big House from the world's largest football venue to the world's largest hockey venue. Very cool. Get it? Cool? Big Chill? Eh...eh? 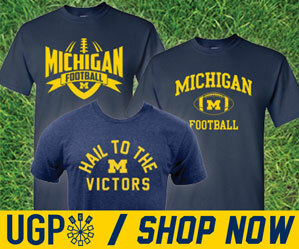 Click on over to mgoblue dot com to check it out. 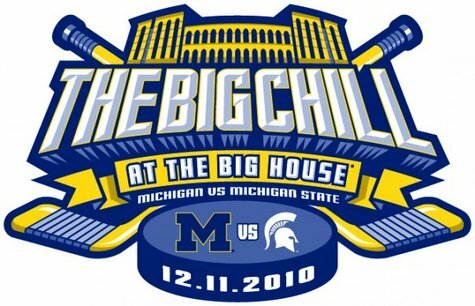 I wanted to find a cool big chill tee and found one at Campus Den it has the MSU and U of M helmets clashing.